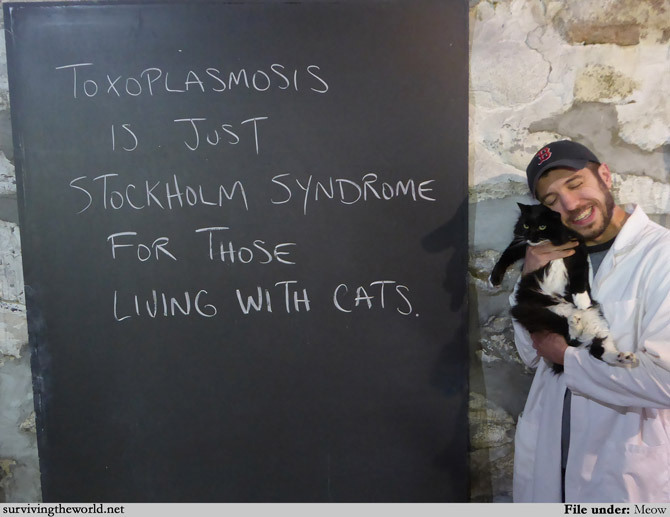 I'm not saying that one of the better things that theSwede has done in my life was bringing cats into it, I'm saying that I'm infected with a parasite so I just think that. This is the third of four comics today! Click back or forward for another.